The HeartSine Samaritan 500P public access defibrillator with CPR advisor technology reigns without a rival! 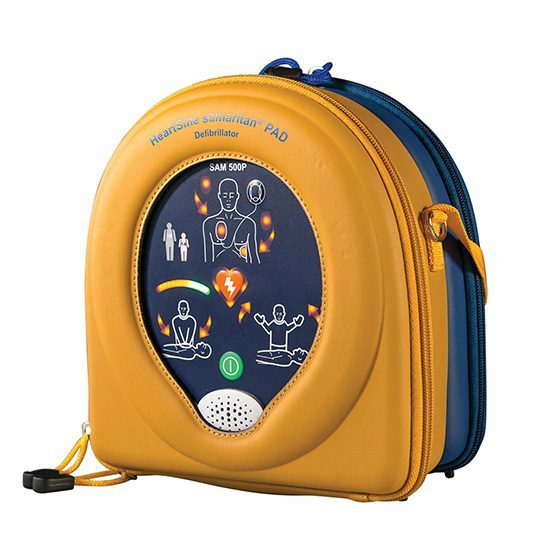 Not only will voice prompts guide you through the process of defibrillation, but this device will tell you to “Push Harder” or whether you are doing “Good Compressions” during CPR – all based on real cardiac output (real blood flow). 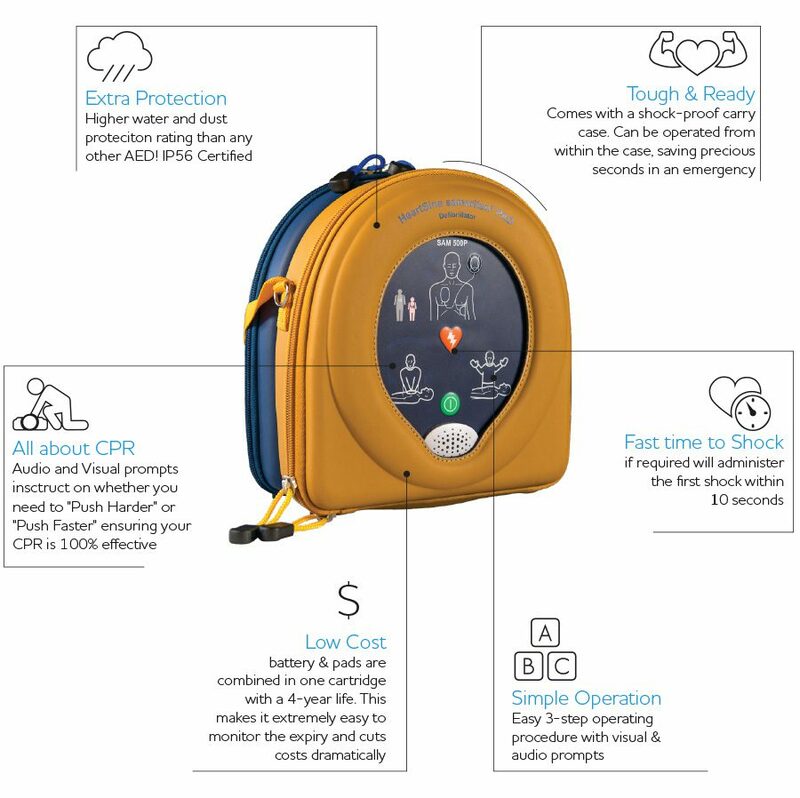 Especially designed for use in public areas, the HeartSine Samaritan® PAD 500P is a sophisticated semi-automatic defibrillator for adult or paediatric use, inside a lightweight and easy-to-operate system. The SAM 500P is a defibrillator designed to analyse heart rhythm and automatically deliver an electrical shock (if needed). Its advanced technology is balanced against the demands of effective CPR in real-world use. The SAM 500P also uses HeartSine’s practical Pad-Pak™, which incorporates the battery and electrodes in a quick to replace single-use cartridge – meaning only one expiration date to monitor and only one item to replace after use. The SAM 500P is suitable for use on adults and children. For children younger than 8 years or weighing less than 25 kg (55 lbs), a Pediatric-Pak™ is available. Investing in an AED is a great step forward because it can increase the chance of survival for witnessed Cardiac Arrest from 5% to 85% – when combined with the other links in the chain of survival. But most models on the market will leave you vulnerable on your ability to ensure good CPR. Even AED’s that claim to have CPR feedback technology do not have the ability to determine the effectiveness of your compressions – they simply are basing the feedback on how hard you are pushing. 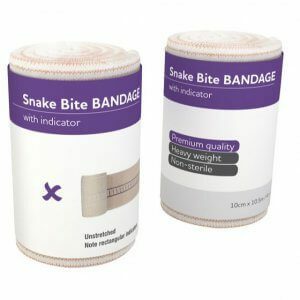 Now, unfortunately, there is a huge difference from individual to individual, inappropriate force and pressure required to perform effective compressions. 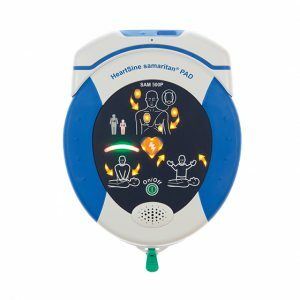 With the HeartSine Samaritan 500P Defibrillator’s world-leading CPR advisor technology, you make every second of your rescue efforts count. There are people alive today that have been saved by the 500p… and others who have the comforting knowledge that they did everything they could. I used this machine to save a contractor, a month after deciding to install one. It was fantastic, specially the cpr feedback. I used one of these on one of our members had a cardiac arrest, and we saved their life!